"to unite God's people in hastening the Messiah's return". 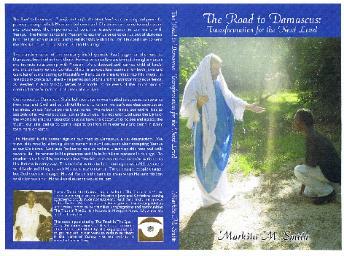 inquire about purchasing my book, The Road to Damascus: Transformation for the Next Level. May ADONAI continue to bless you in every way! YHVH--the God of Abraham, Isaac and Jacob--is the Creator and the One, True God. God is One, manifested in the Father, the Son and the Holy Spirit. Salvation from sin and death comes only by Messiah Yeshua (Jesus Christ). He is the Son of God, who is fully man and fully God. Father making intercession for us and will return again to rule the earth. The whole Bible (all 66 books, from Genesis to Revelation) comprises the infallible words of God. It is all true and applicable today. All believers in Messiah Yeshua (Jesus Christ) are a part of the family of God and grafted into Israel.